The Built on the Rock Phase I project is complete!! You asked for it ... and we delivered! Recipes from the 2015 Tour of Tables! The Tour of Tables generated $4,640.00 for the repointing project! Ticket sales and donations accounted for $3,140.00. The Silent Auction winning quilt bid added $1,000.00 to that total, and Fairmont's Thrivent Chapter contributed supplemental funds in the amount of $500.00. Thank you to Holtmeier Construction of Mankato for their "Let's Scrap" donation, which resulted in $976.20. Thank you to St. Paul Lutheran Church Endowment Fund for their donation of $34,748.55, presented October 25, 2015. In 2014, the Church Endowment Fund presented a check for $29,729.00. This is a total of $64,477.55 received from the Endowment Fund! 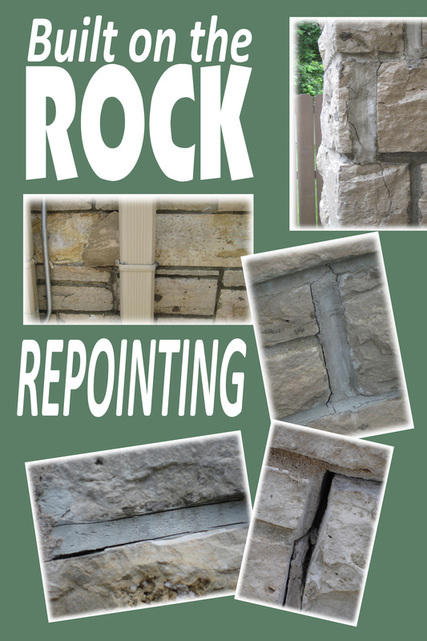 What a blessing this has been to the Built on the Rock Repointing Project!